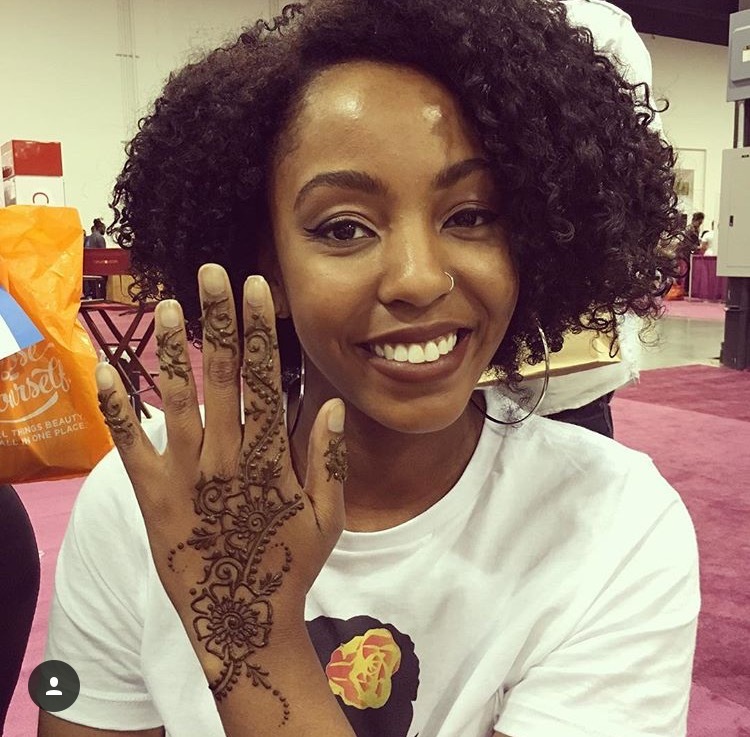 The other con is the fact that henna stays in your hair permanently. However, unlike chemical dyes it coats the outside surface and not the inner structure. Overtime (4-6 weeks) the color fades. This is because the chemicals can react with the Henna which in turn may not leave you with your desired hair color result and in some cases could cause damage. For those who are protein sensitive this is something to consider. To me, though, the pros outweigh the cons, since for me it is helpful for strengthening my hair. For some Henna has been said to loosen the curl pattern of hair if used consistently – and that’s not a problem if that’s what you are going for. Always do a strand test to make sure it is safe for you to use. Years ago, I decided to take the plunge and dye my hair. I wanted the honey blonde color, the one that EVERYONE was wearing. For a few weeks, I was on cloud nine; it felt like I was an entirely new person, and I was on top of the world! But as time went on, I started to experience hair breakage. My ends began to split, and a lot of my hair actually snapped – that’s right – snapped – off. It goes without saying that after that debacle, I was completely wary of changing my hair color due to the damage that is inevitably involved, and I refused to try any color changes to my hair for many years after that. Fast forward. I really wanted to change my hair color to red – not Rihanna red but reminiscent of that color – a tad deeper. I had been doing some research for quite some time, and the option of henna came to my attention. I was completely sold on the fact that it is a natural plant that deposits color AND strengthens the hair at the same time. I’ll definitely keep you posted with results as time goes by. Keep your eyes peeled for the next update because who knows, henna might just be the perfect hair color option!